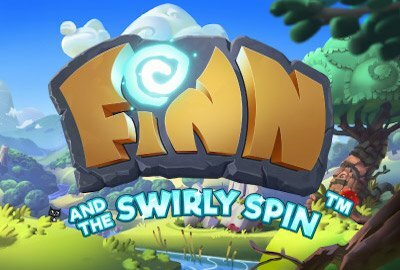 Finn and the Swirly Spin is the final new Net Entertainment slot of 2017. Finn is a leprechaun who sits playing his lute in a cliche ridden Irish setting. 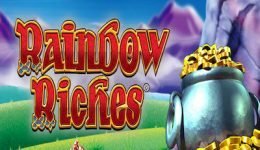 It includes a rainbow where no doubt there’s a pot of gold waiting to be won, golden horseshoes and lucky four leaf clovers. The slot’s intro is typically dramatic but it’s well worth it. This is because underneath all the razzmatazz is something quite unique in slot terms. At first glance, Finn and the Swirly Spin looks like a 5 x 5 slot game, however instead of reels, the various symbols move in a swirl. At the bottom left of the game there’s a key and the object is to get that key to the central lock location. This is achieved by matching symbols on the swirl in lines of 3 or more. Matching symbols explode from the screen and the remaining symbols swirl around towards the centre. Wins can generate star wilds and these help build up the wins so that the key edges nearer to the centre square. To assist in your quest, Finn occasionally gets off his toadstool and does some magic to generate extra star wilds. He can also create a dragon to destroy symbols or just give you some old fashioned Irish luck. You can play Finn and the Swirly Spin from as little as 10p a play. 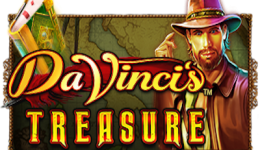 Use the coin value and level buttons to adjust your wager from a minimum of 10p and a maximum of £200. An autoplay option is available should you wish to just sit back and watch proceedings. If the key symbol reaches the centre square then free spins are activated. At this stage you choose from up to four random features including The Star Bar, Lava Lair, Lucky Mug and Golden Pot. Note that to access all these options you need to have revisited the centre square several times. Given that it seems to take an eon to achieve just one go on the free spin round you’ll be doing exceptionally well to even get near the Golden Pot. The mechanic of the game is pretty cool, it’s like no slot we’ve seen and that is a big thumbs up. However getting the key to the centre is mission impossible. It does seem you need to rely on Finn’s magic to have a fighting chance to get near. In fact the closest we came was just one square away. Sadly we can’t report on the free spins round as it just never happened. Net Entertainment have had a busy year, but we do like the premise behind Finn and the Swirly Spin. That said it’s probably one of the most frustrating games of 2017 and that frustration isn’t helped with the Irish music that plays the same loop over and over and over again. Our advice is ditch the sound after you’ve played for a few minutes. We do suggest that you give the game a try – see if you can get to the free spin round or just end up in a swirly spin of despair and frustration!